I wonder, do they have football there? Or beer? How about aspiring novelists? Horrible, isn’t it? Two weeks since I last blogged. So I think we’re in for another batch of random thoughts. So let’s see. For one, it’s pretty likely that we are very much not alone in the universe. Yeah, I recognize we’ve been saying that since Carl Sagan first took to the airwaves in his unique, nasal tenor. But recently, the Kepler Space Telescope has found evidence of more than 1,200 planets in a relatively small patch of stars in the night sky. Furthermore, 68 of said planets are roughly Earth-sized, and 54 of them are within their stars’ habitable zone — the goldilocks area where it’s not too hot and not too cold and, perhaps, ideal for sustaining life (as we know it). So, you know…that’s cool. However, I will point out via my favorite football columnist, Tuesday Morning Quarterback, that if there is indeed “new life and new civilizations” out there, it’s suspicious that we’ve not seen or heard evidence of them. Wouldn’t we have picked up a radio signal by now? 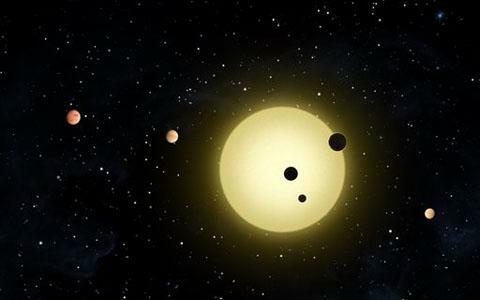 Check out this interesting bit about exoplanets and our place is the cosmos. And yeah, that’s a football columnist talking about exoplanets. Of course, TMQ is also a fellow at the Brookings Institute and a something of a polymath. He’s also in need of an editor. I mean, seriously, I sit down with TMQ and usually spend my 30-minute lunch digesting both the Lean Cuisine and the article. But the insights on football and, as you can see, various other topics are quite worth the time. I love pro football, but the really sad thing about it is that, here in the New York area, it’s downright impossible to simply take the family to a game without feeling the sting in the wallet. The average ticket to go see the Jets or Giants runs just over $85 each, and chances are, that’ll get you upper deck nosebleeds. A decent lower deck seat is several hundred a pop, and even the lower levels of the upper deck are $100 or more. So let’s be generous. Call it $85 each for Kate, Anna and me, which equals $255 for tickets. According to this study, we’d pay another $48 for parking, three hot dogs, two sodas and a beer. So a single football game, in crappy seats, is a $300 proposition. And I bet the beer isn’t even that good. But I’ll still miss football. I’ll just stay home, watch it on TV and enjoy one of my homebrews instead when the season starts again. In the meantime, I’ll keep an eye out for aliens.